One of the main myths that repel patients from the possibility of rapid and effective rejuvenation of the skin of the face is the danger of the procedure. In fact, the invasiveness of the operation depends on the amount of age-related changes, the area of ​​correction, the material used. The introduction of notched implants is more complicated than contouring, but the effect of it is noticeable even with pronounced age-related changes. Especially popular in cosmetology are materials Aptos. Their different types are used to stimulate the regenerative processes in the skin, sparing temporary tightening or resistant lifting of facial tissues. Another common myth among patients is the high cost of non-surgical braces. A single injection of Aptos threads gives more results than a few courses of beauty injections. 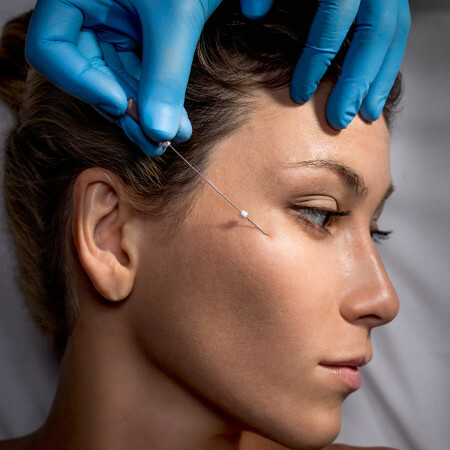 This means that the procedure will produce a more noticeable effect at a lower total cost than alternative methods. Plastic threads is possible up to a certain age. The myth is also a clear age framework for aesthetic non-surgical correction. The thread rejuvenation method is more effective at a young age, but it shows good results in combating wrinkles even after 60 years. Thread lifting is performed under general anesthesia. Many patients are afraid of general anesthesia, covered with myths more than the operation itself. But local anesthesia is sufficient for the thread correction of age-related changes. The only thing that is necessary for safe lifting is complete sterility. Obligatory appearance of scars after the procedure is also just a myth. Among the Aptos threads there are atraumatic options, after the introduction of which 2-6 tiny punctures remain on the patient's skin, which linger in half an hour. With a large amount of correction during the procedure micro incisions can be applied with sutures that heal in a couple of days. The threads are made of a special bioabsorbable substance and dissolve over time, leaving no traces. Despite the resorption, they stimulate the production of collagen and elastin, and also contribute to the constant hydration of the skin, which leads to the rejuvenation of tissues. The main task of trendlifting is not to eliminate the signs of aging, but to slow it down, therefore the myth about the short-term effect of this correction method is also unjustified. The procedure allows you to shape the chin after liposuction, get rid of wrinkles and folds on the face, correct the shape of the patient's nose without the risks accompanying the operation. And stimulation of the own mechanisms of tissue regeneration will help improve the condition of the skin and delay aging for years. Aptos implants are placed in the subcutaneous fatty tissue, providing a redistribution of tissue volume. Therefore, the risk of breakage due to muscle contraction is nothing more than a myth. In addition, the threads are flexible enough to adapt to the anatomical curves of the face. The only thing that can be damaged is special notches, which ensure reliable fixation of the implant under the skin. To avoid this, it is enough for the patient a few days after the procedure to monitor facial expressions. For a good result, you need a lot of threads. Many fear the use of a large number of thread implants, the risk of severe swelling or the appearance of bruises that will go for a long time. Such fear is justified only when applying mesothreads. For all other types of thread correction, the need to implant dozens of threads is a myth. Aptos implants with special notches help to actively deal with the manifestations of age, being fixed in the facial tissues. The incisions themselves "open up" after implantation. Such fixation allows you to redistribute the necessary volumes and tighten the skin with a smaller number of implants and with minimal discomfort. A small number of threads leads to a reduction in skin trauma. The main lesions that cause swelling are applied when a special cannula and anesthetic are introduced into the skin. Easy swelling without a trace passes in a few days. In the "Plastic and Cosmetic Surgery Center" in Poltava help you to return the leaving youth with the help of a safe and effective thread lifting. 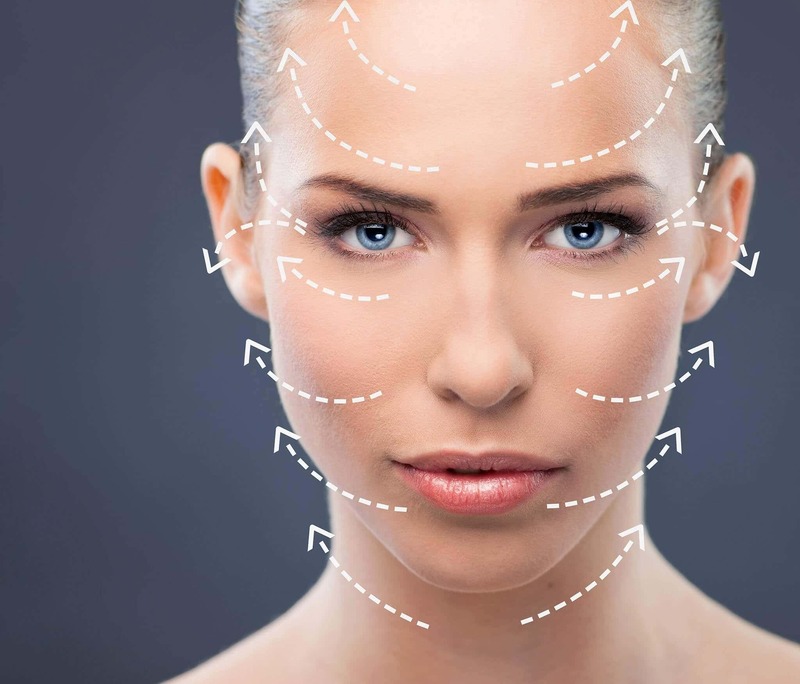 A beautiful face has the right proportions, a delicate balance between the frontal, middle and submental parts of it. If the balance is disturbed in the chin area, the problem can be corrected. To do this, do not necessarily go under the knife of a plastic surgeon. Modern aesthetic medicine offers a number of non-surgical methods for correcting the shape of the chin area, aimed at increasing or decreasing it.